Over the years, I have accumulated a number of resources that have helped me understand and work with pneumatic controls. Some of them, while still useful when you encounter the technology in existing buildings, are becoming harder to find. I originally had these resources at a different location but decided to move them to this website because it is much easier to organize them and maintain them using the website tool. The blog post I wrote when I first put them up will give you some information about what each of the resources are along with an over view of why they might matter to you if you are working with existing buildings. I have updated the links in the post to point to here and the links below will connect you with the resources directly in their new home. A while back, in response to a question I received, I wrote a fairly extensive blog post about pneumatic controls titled Pneumatic Controls, First Cost Advantages, and Retrocommissioning Opportunities. Pneumatic controls also come up in a number of posts and will likely continue to do so. 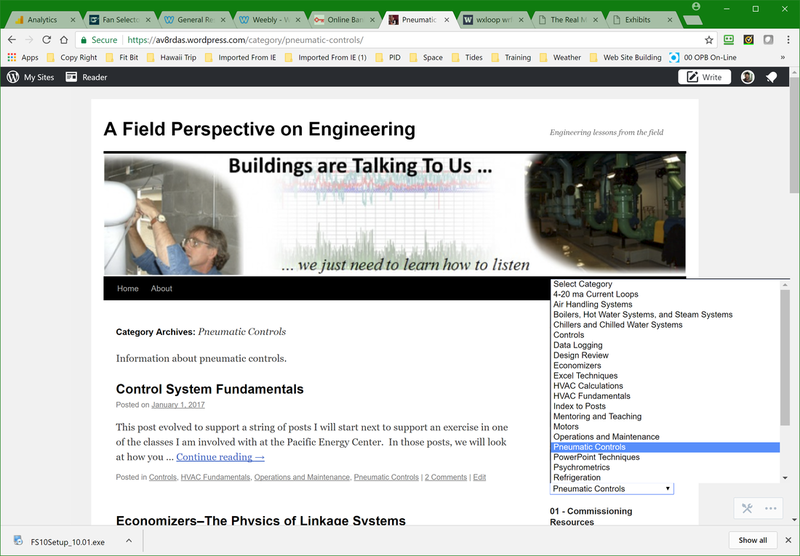 If you are interested in reading any of the posts on the topic, you can easily find them by going to the blog and then using the category drop-down menu to select the "Pneumatic Controls" category, as shown in the image above. The result will be that links to all of the posts in that category will be loaded onto the webpage and you can chose the one that interests you. The original edition of the Honeywell Gray Manual was written back in 1934 when pneumatic controls probably were considered an emerging technology. 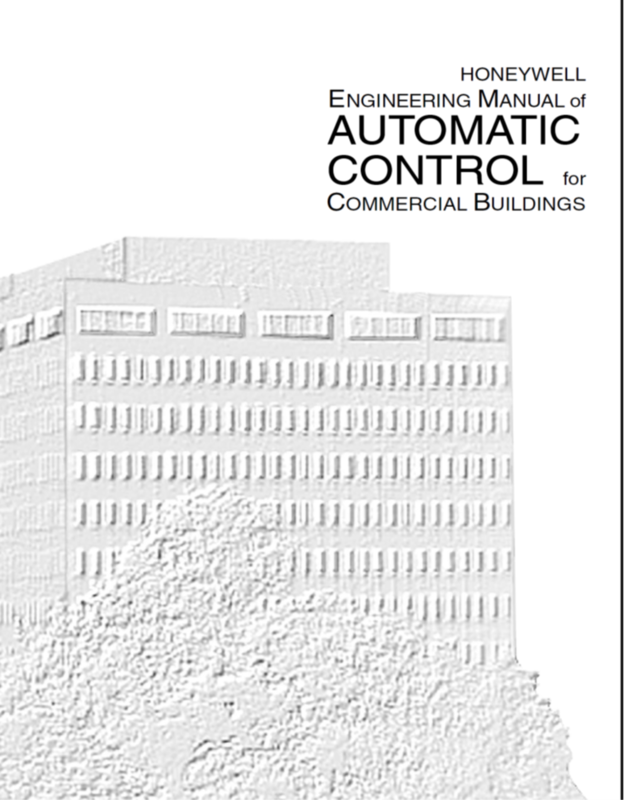 The current version still contains good information on pneumatic control along with a lot of other useful information and you can download a copy of it from the Honeywell Gray Manual page on this website. This non-narrated (but there is music), animated PowerPoint slide set starts with some images of pneumatic controllers and pneumatic control panels from various EBCx projects, concluding with images of a process grade pneumatic PI controller that the folks at the San Francisco Ballet Building were kind enough to give to me when they upgraded their system to DDC. The side set then uses a PowerPoint animation to demonstrate how one pipe and two pipe pneumatic controllers work. along with a few bottom lines regarding pneumatic control and pneumatic actuation. It is important to recognize that pneumatic actuation is not the same thing as pneumatic control and that pneumatic actuation has a place in the modern world. Back in the olden days, a number of manufacturers provided very good engineering bulletins on fundamental principles. 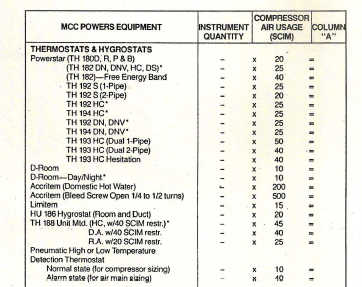 The download below contains the ones that MCC Powers (now Siemens) and Johnson Controls published, which were handed down to me by my mentors. 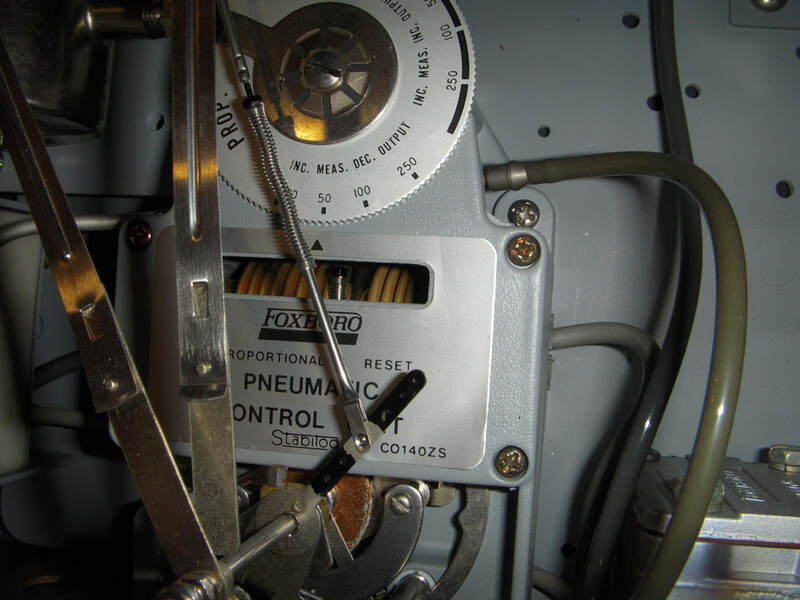 One of the "tricks" for sizing pneumatic air mains and compressors was to have an understanding of how much air the various devices in the system consumed in normal operation. 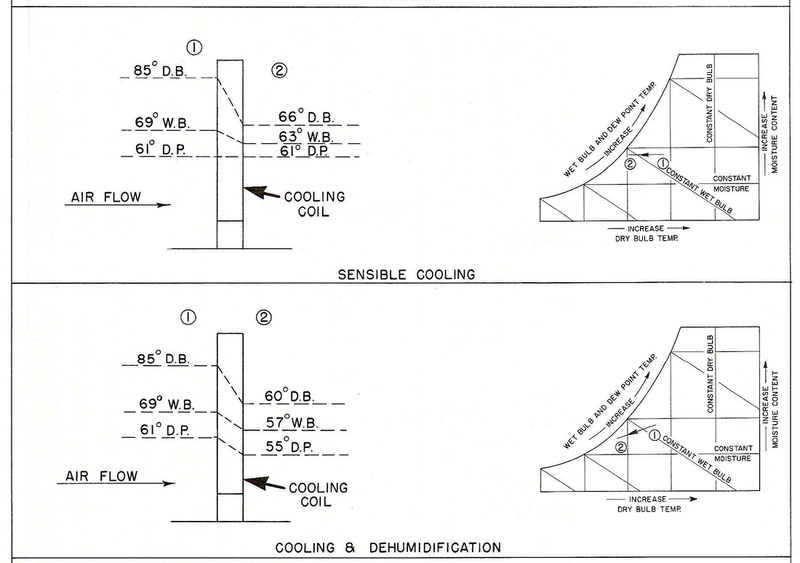 The file below contains an application engineering bulletin about how to size air mains along with pipe friction charts for copper and poly tubing along with air consumption data for typical devices. Guidelines from a number of different manufacturers are incuded. 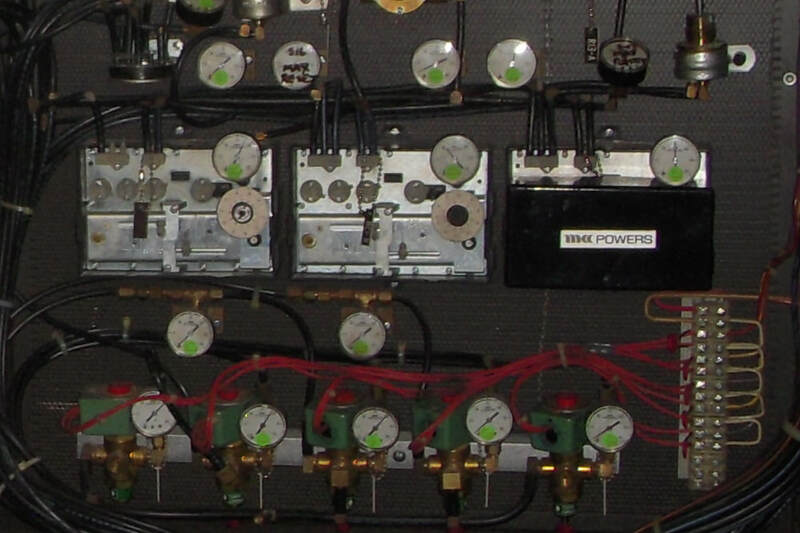 The silver boxes with dials and levers in the photo above are MCC Powers RC-195 pneumatic receiver controllers. These devices are still in use and, in my experience, were one of the better receiver controllers in the market. One way to understand a technology is to simply work with it and read the available information on it. The file below contains the application engineering bulletin for the RC-195. In readying it, I think you will begin to understand how it works in particular and how receiver controllers work in general. The video above includes images of several high end/process grade pneumatic controllers. The manuals for the two controllers in the video (an MCC Powers Series 200 and a Foxboro 43AP) are included in the file below. You will also find the manual for Taylor Instruments Fullscope controller (the original PID controller developed by Taylor Instruments) on the PID Resources page. All of these manuals will provide some insight into the mechanics of pneumatic instruments that are generally applicable across the boards. Some of the information in the file below is probably a bit dated since it applies to hardware that was manufactured in the 1960's and 1970's. But truth be told, you still run into it out there in existing buildings. In addition, since some of the information like the nomograph above is simply based on fundamental geometry and physics, it is pretty timeless and useful to us even now. Note that you can also find information on dampers and damper sizing in the Honeywell Gray Manual and in the MCC Powers Damper Application Engineering Bulletin, which are available on other pages on the web site. 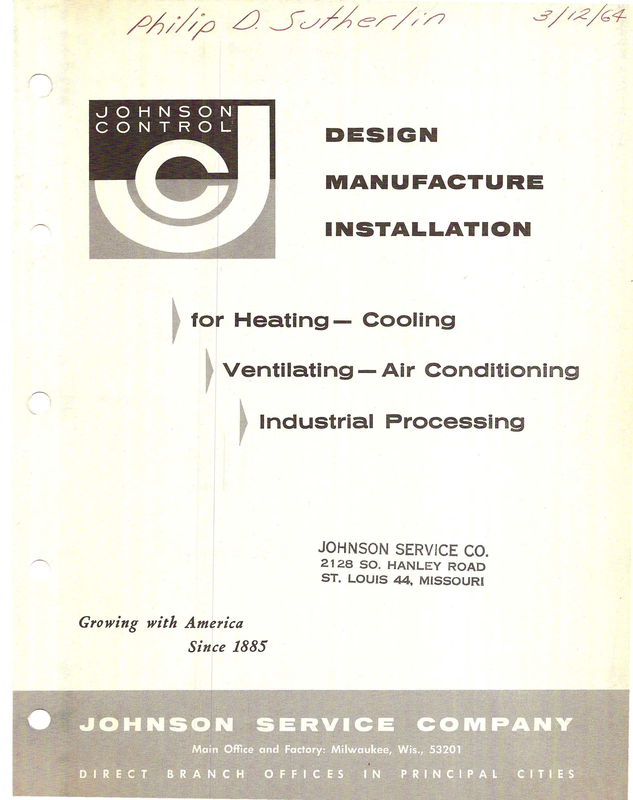 This JCI engineering bulletin is similar to the damper engineering bulletin in that it is based on fundamental principles, so the information it contains is timeless and may be a handy reference for you if you are new to HVAC. It also includes the JCI pneumatic control system symbol list, symbols that are typical of those used by many of the manufacturers. 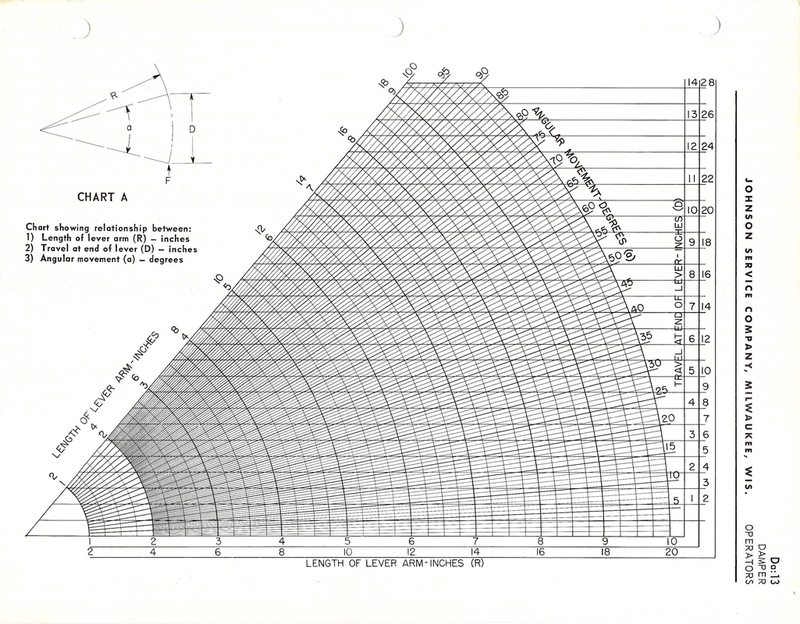 They may help you read old pneumatic control drawings if you come across them. ​Even if the controls were upgraded or replaced, the pneumatic control logic will give you some insight into the design intent for the original system.